An Avanti with no front name plate and square headlight bezels appears in Stuart Saves His Family - It could be a 1964 Studebaker Avanti or a later model Avanti II. 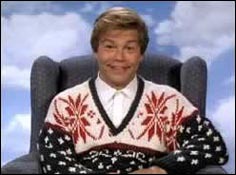 Al Franken stars in this satire as 12-stepper Stuart Smalley, in a role originated on television's Saturday Night Live. Stuart is forced to accept facts when his cable-access show is canceled. He must face his dysfunctional family and decide if they are worth saving. 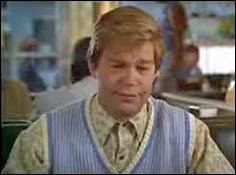 Released in 1995, the film stars Vincent D'Onofrio, Laura San Giacomo, Shirley Knight, Harris Yulin, and Al Franken. Directed by Harold Ramis. A villainous red Avanti takes aim at poor Stuart Smalley in the 1995 comedy, "Stuart Saves His Family." Stewart on his cable TV show. 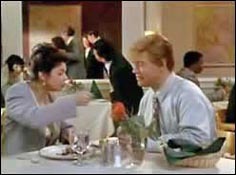 Stewart in the restaurant scene.